Dress shopping can be a daunting task: you have to decide who to take with you, what your budget is, what will look good in your venue, what will look good on you, among so many other things. 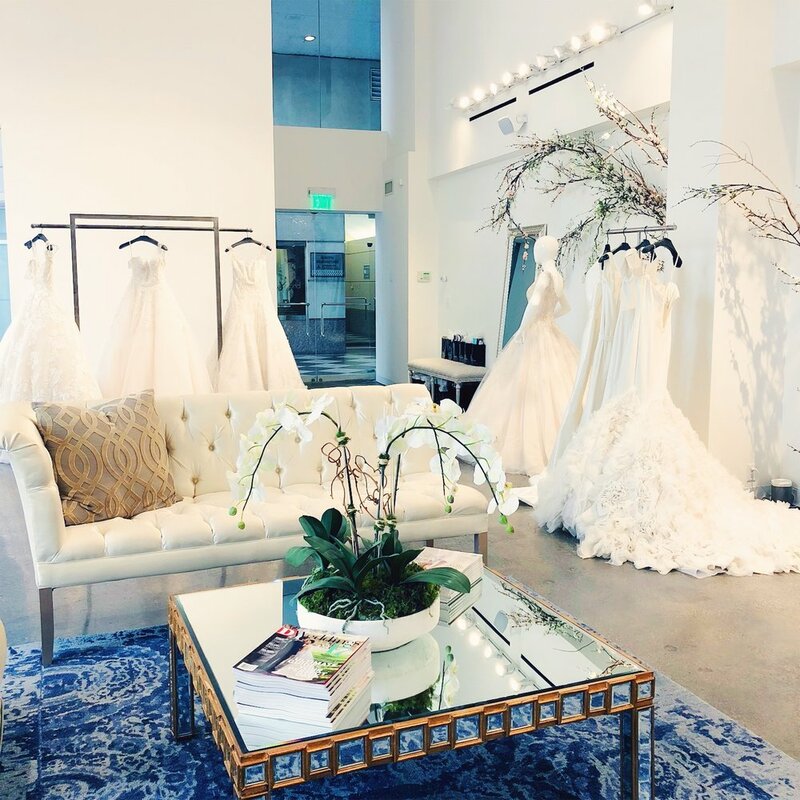 There are tons of resources online, but we’ve narrowed it down to our six favorite bridal boutiques (in no particular order) right here in Dallas! This beautiful shop (pronounced ‘a and bae’) is located in the Design District, right down the street from Town Hearth. This brightly lit industrial space greets you with windows full of beautiful gowns and a huge “I DO” marquee just inside the front doors. The consultants are fun, patient, and ready to get you into the gown of your dreams. Gowns at a&bé range from $1000-$7000. Nestled off the beaten path in Uptown, Lovely Bride is for boho, contemporary brides who believe in going their own way. The consultants are ready to help, and are so good at listening! They know their designers like the back of their hand and are great at pulling things that fit your requests. Gowns at Lovely Bride range from $1500-$6500. 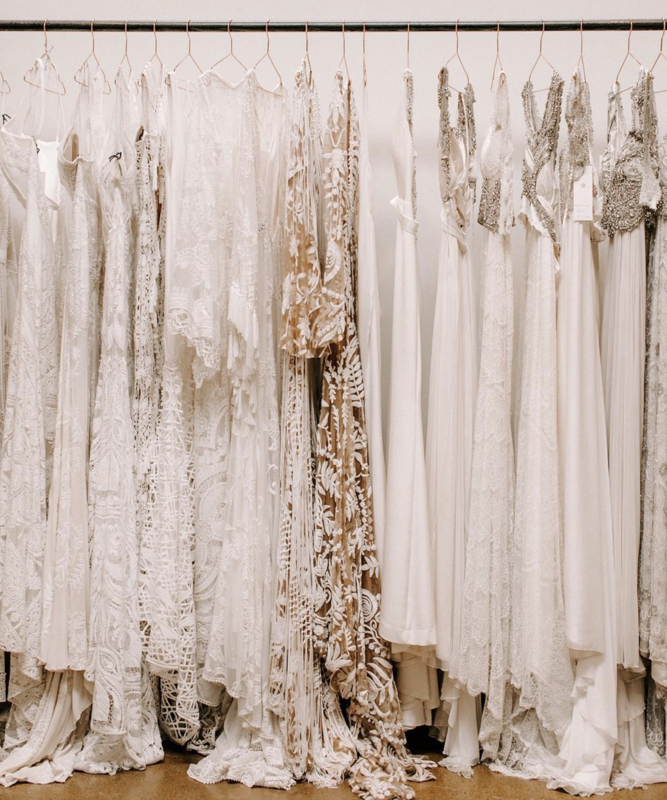 If you find your dream gown at Lovely Bride, they will have champagne and an oh-so-instagrammable wall waiting for a picture! 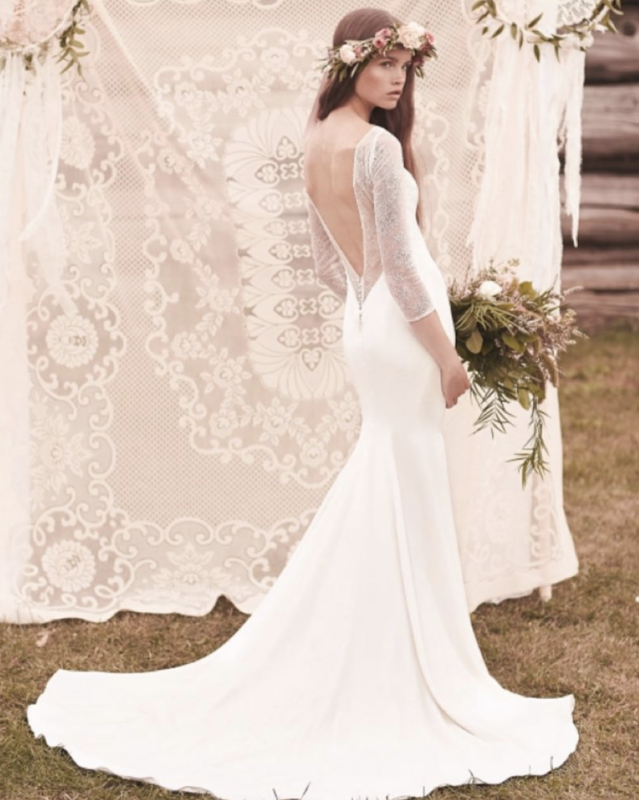 Also located in the Design District is Lulu’s Bridal Boutique. 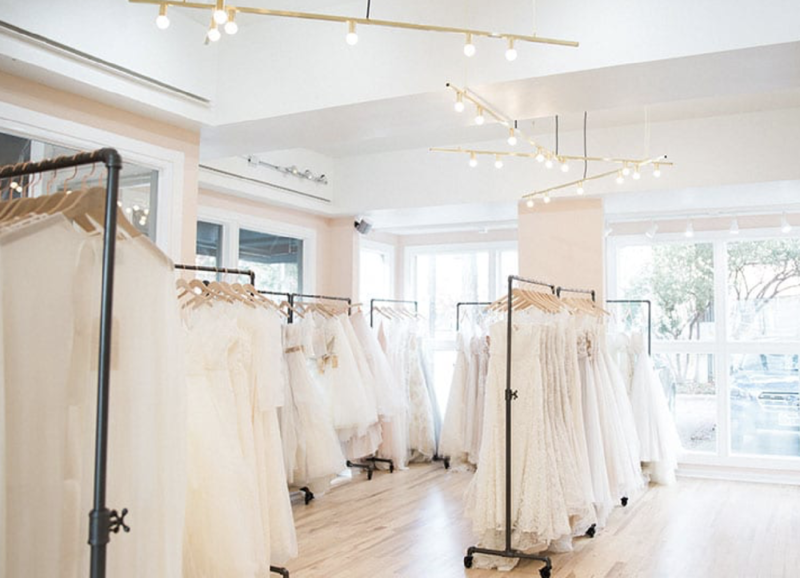 Not to be confused with lulus.com or Lululemon, this shop is certainly full of wedding wear and was one of The Knot’s picks for best of weddings 2018! With gowns that range from $1200-$2500, this shop is perfect for ladies who don’t even want to see dresses outside of their price range! In addition, Lulu’s has their own in-house alterations and can sometimes even provide alterations to bridesmaids’ dresses, too. If money is no object, be sure to check out Warren Barrón Bridal in University Park! With gowns starting at $3000 and ending over the $10k mark, this huge bridal shop is the couture bride’s dream. Not only can they help you look and feel beautiful on your special day, but if you find your gown at WB, you get more than just the gown: they have built relationships with some of the best vendors in the industry that will hook you up with discounted services! If you want to find a good ‘ol local bridal shop that is a Dallas staple, make your way to Patsy’s Bridal Boutique on Henderson! Their gowns range from $1300-$6500, so there is a wide range to accommodate brides on varying budgets. Patsy’s has been helping brides in DFW for over 25 years, so they know what they’re doing! If you say “yes” to the dress at Patsy’s, make sure you’re photo ready; they take a polaroid of all of their Patsy’s brides for their photo wall! If you love Dallas so much that a local shop alone isn't enough for you, you can have a dress from home-grown designer, Mackenzie Brittingham! She has been the sole owner of Stanley Korshak Bridal since 2016. She loves designing dresses for brides so that she can make them feel truly beautiful! And, if you're having a winter wedding, Brittingham also designs fur pieces that "evoke the same feeling" as her gowns. Stanley Korshak Bridal is located in The Crescent, and carries other designers in addition to Mackenzie Brittingham. Be sure to add SK to your dress shopping list!